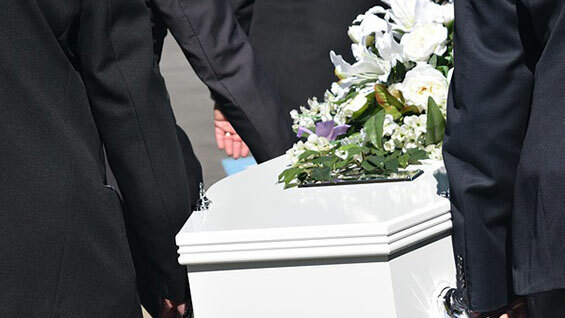 Funeral services provider Invocare is priced at a discount and tipped to maintain its market share as Australia's ageing population drives demand, says Morningstar analyst Daniel Ragonese. Morningstar has raised its fair value estimate by $1.50 to $17 a share to reflect what it sees as an increasingly valuable prepaid funeral business and more bullish assumptions about its market share. At 1pm today, Invocare was trading at $13.76, a 23 per cent discount to Morningstar's FVE. Invocare (ASX: INV) is poised for high single-digit EPS growth for the next years, Ragonese says, as it embarks on a reinvestment program, which should support revenue growth of about 7 per cent a year. The company's share price has plunged in the past six months following a downgrading in guidance linked to temporary store closures and the listing last year of rival Propel Funeral Partners (ASX: PFP). There were also market perceptions that pricing pressure faced by UK-based funeral services provider Dignity would affect Invocare. However, Ragonese says the market is being "overly cautious" and the company is on track to boost its dominant position by reinvesting in the business. "We believe the market's fears have created an opportunity to invest in a high-quality stock at a discount," Ragonese says. "Management is investing heavily, refurbishing funeral homes, cutting costs, and bringing IT systems up to speed, all of which further strengthen its already dominant position." Invocare seeks to increase its market share in both Australia and New Zealand to 40 per cent within the next decade, up from 33 per cent, which Morningstar says is achievable. Key to that is its prepaid funeral business. Ragonese says the benefit is twofold. On hand one, it minimises the burden on families because in most cases funeral costs paid in advance do not count towards the Centrelink assets test. On the other, it locks in future demand for Invocare and provides a low-cost source of funding. Another crucial part of the company's momentum is Australia's ageing population, which will drive an acceleration in death rates. According to the ABS, the annual number of deaths should grow at above 2 per cent beyond the next decade, peaking at 3 per cent by around 2030, in comparison to the 1.6 per cent compound annual growth rate during the past decade. "Death is one of the few certainties in life and while this is nothing to celebrate, it supports a steadily growing demand for Invocare's services," Ragonese says. 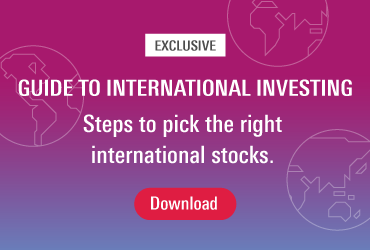 While the market is concerned about the threat of recently listed Propel Funeral Partners, Morningstar says Invocare's wide moat – or sustainable competitive advantage – will insulate it. "The firm's intangible brand assets, cost advantage and scale will be extremely difficult to replicate," Ragonese says. Chief among these is the company's flagship brand White Lady Funerals, a unique all-female service with an emphasis on emotional support. This premium service costs on average about 25 per cent more than a traditional Invocare funeral, which Morningstar estimates costs about 15 per cent more than the $6500 industry average. Ragonese also cites more competitive prices for coffins, food, beverage and transport as contributing to a 1 per cent boost in gross margins – a figure that is expected to increase in 2018 and 2019. The market is also trending towards more cremations, which Morningstar estimates is about 30 per cent more profitable. • Are economic predictions ever useful?